As part of an effective data backup strategy, you need to have an offsite cloud storage option. Today, as part of our data back up series, I’ll show you CrashPlan. Here’s what it has to offer and how to use it. All hard drives fail at one point or another, and you need to make sure it’s backed up. As part of an effective data backup strategy, you need to have an offsite cloud storage option. Today, as part of our data backup series, I’ll show you CrashPlan. Here’s what it has to offer and how to use it. 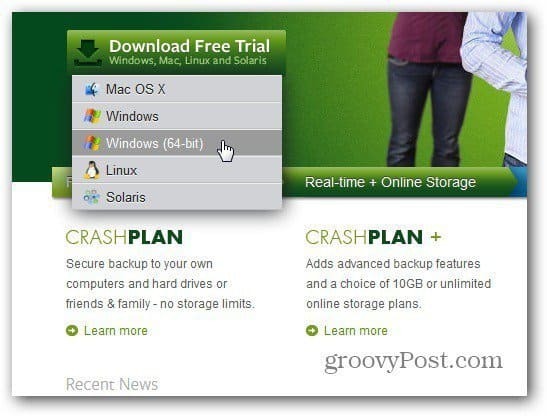 First, visit the CrashPlan site and download the CrashPlan free trial for your OS. CrashPlan is cross-platform. It works with Windows 32 and 64-bit versions, Linux, OS X and even Solaris. 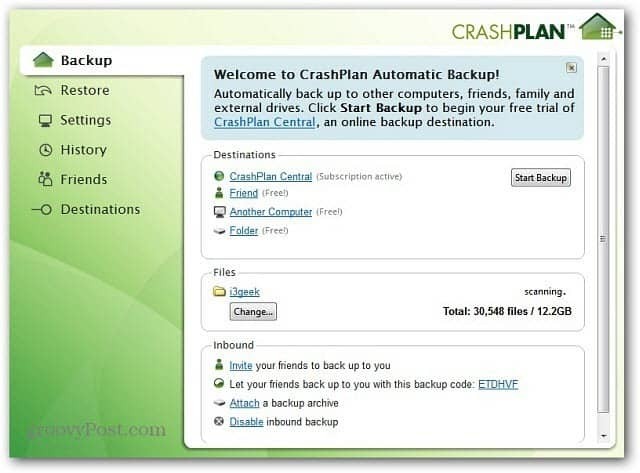 CrashPlan offers a variety of services at different prices. To find out more, check out its comparison chart. For this review, I am using the CrashPlan+ Unlimited service and provides the following features. Real-Time Data Backup, Multiple Backup Sets, Onsite and Offsite Data Backup, Incremental and Differential Backups. The initial backup of your computer is quite a time consuming over the web – this is true with any online backup service. But, Code 42 Software – the developers of CrashPlan, will send you an external hard drive for a fee. Then you back up your data to the external drive, send it to the company, and they will make it all available to you over the web. Install the CrashPlan Backup Software. I’m installing the 64-bit version of Windows 7. Installation is a breeze following the wizard. After finishing the quick installer, CrashPlan starts up. First, create your free CrashPlan Account. 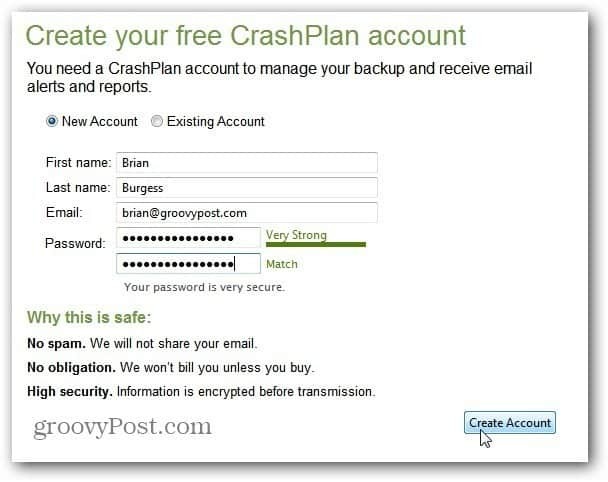 After you create your account, CrashPlan immediately starts scanning your local user account. I was impressed that it went to work so quickly. Minimal setup and I’m already on the road to safe and secure online storage. If you want a set it and forget it approach to backup your local drive, just leave the default settings. While CrashPlan is scanning your system, click Start Backup. I like to have control over the directories that are being backed up. If you’re like me, CrashPlan makes that easy too. Under Files click Change. 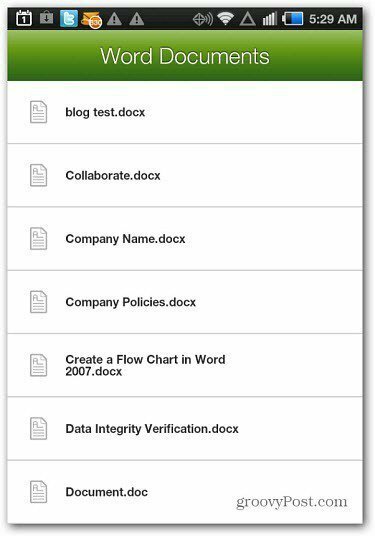 Now you can navigate to the directories you want to be backed up by checking the folders you want. 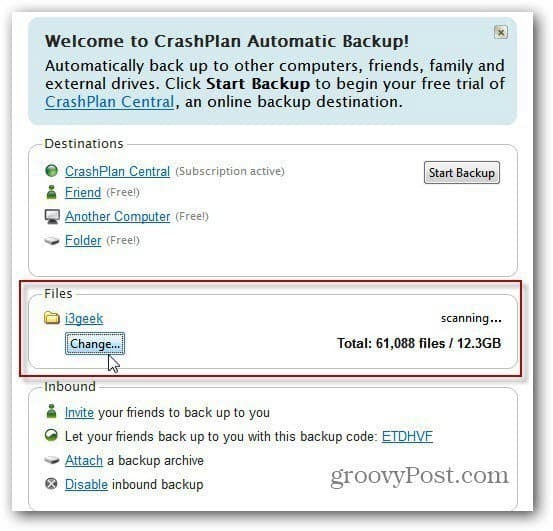 One of the grooviest features CrashPlan offers, that other services don’t, is it lets you back up connected external drives. Another cool thing to consider is setting up multiple destinations. This lets you add other destinations like your friend’s computer data, other computers on your network, external drives and backup online to CrashPlan Central. To backup a friend’s data to your CrashPlan, send them an email with your code. They will need to download CrashPlan too, then enter the code you send. I sent 8GB of Data to CrashPlan, and it took about a day to upload. I paused the backup though over the weekend to get other things done. Which by the way is an excellent feature? It lets you pause a backup, and when you resume, it picks up where it left off. You can do this from the CrashPlan Taskbar Tray icon and select Sleep. Here’s a look at where my backup is at after starting it two days ago, and pausing it periodically during the process all weekend. Just like with other online backup services, the first backup takes the longest. CrashPlan also provides free mobile apps for iOS, Android, and Windows Phone. 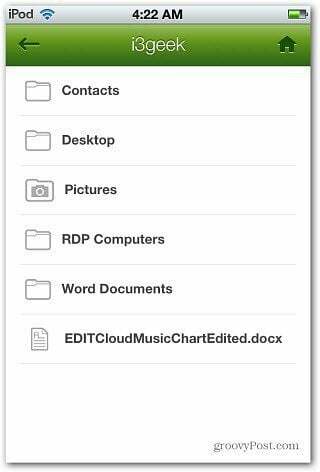 This gives you access to all of your important files on the go, and the ability to share them – making it more than just a backup service. 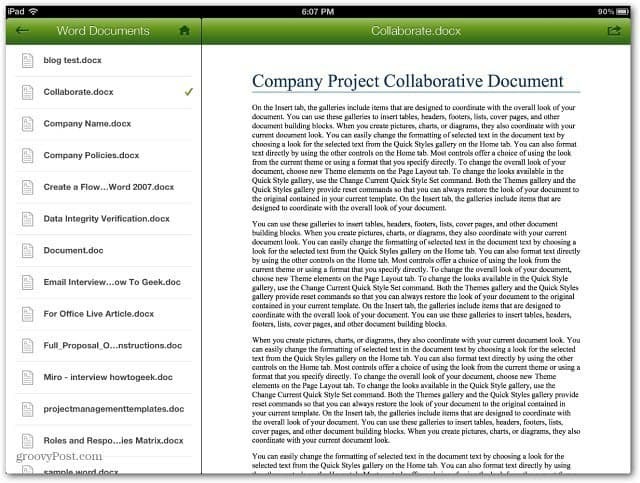 While the CrashPlan app on an iPhone or iPod touch offers some usability, if you want to read your documents, it works much better on the iPad. There are also versions of the mobile app for Windows Phone and Android. 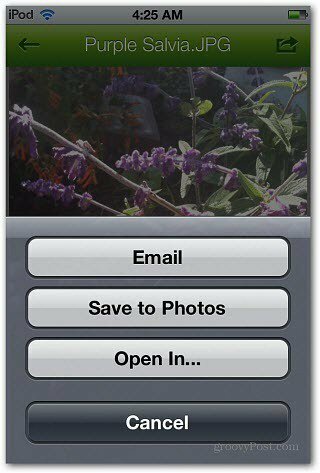 You’ll have access to your important data virtually anywhere on some different mobile platforms. Overall I’ve been happy with CrashPlan and the plethora of features it offers. I have to admit I’ve been a Carbonite user for the past two years. But CrashPlan’s ability to back up external drives is my favorite feature. I was sold on this feature alone. 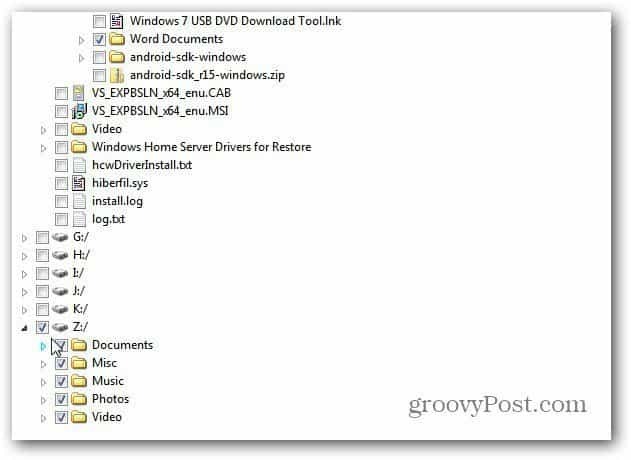 I no longer need to bypass Carbonite’s external drive backup restriction with SyncToy. With all of the extra features and solid encryption CrashPlan provides, at the same price – I’m making the switch. 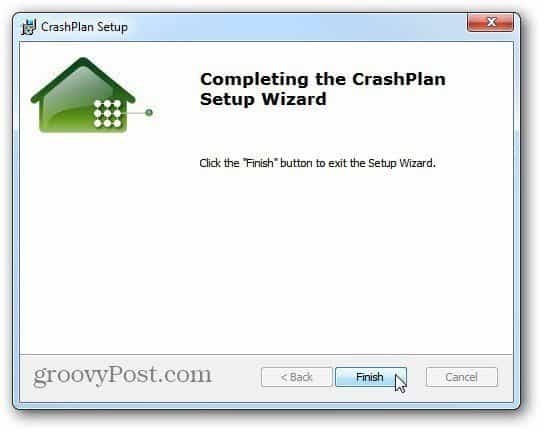 Click here to download a free trial of Crashplan. 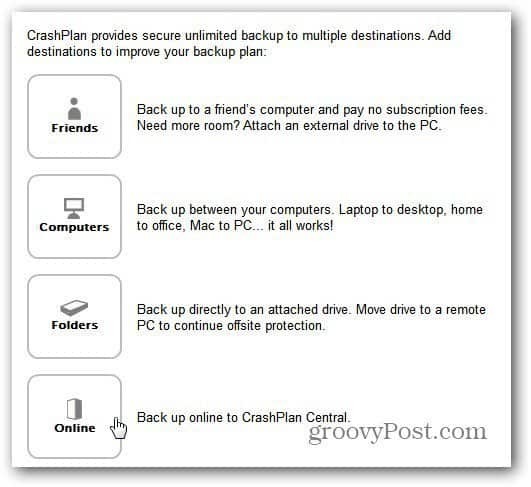 I’ve been a long time CrashPlan user ever since we bought it a work to backup our desktops globally. It works well and for the cost, simplicity and compatibility on all platforms you just can’t beat it. If I remember correctly, you can install CrashPlan on any windows OS including server. To CrashPlan, it’s billed by device not type of OS. 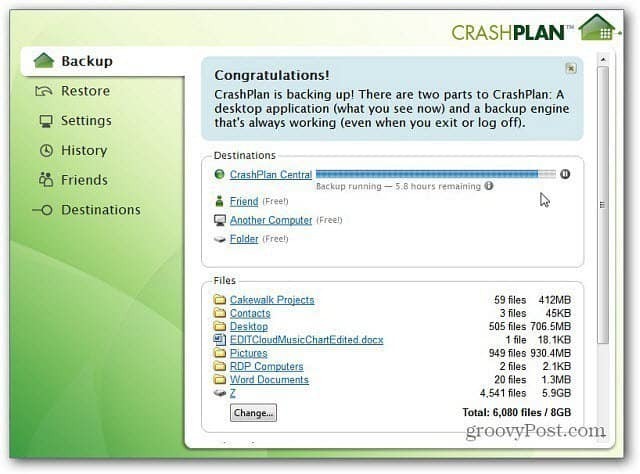 Actually, CrashPlan seems to be suffering under the weight of its success. Backup speeds have dropped dramatically for many users over the past month or more, with no ETA for a fix for their customers. Complaints are visible once you log in to their support site. This isn’t a few day interruption, this is backup speeds dropping even as low as 100Kb/s and backups taking months or years. I’ve been a satisfied customer for a while, but with the recent degradation in service I am considering other companies. Readers should be aware. Interesting. I guess I haven’t had any speed issues with it personally. 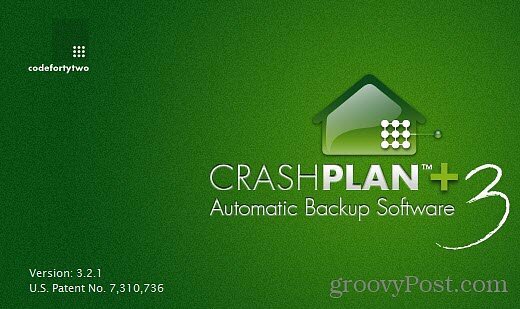 Crashplan will no longer offer the consumer version of their product, CrashPlan for Home. All existing agreements will be honored, but the company will no longer renew any consumer subscriptions, nor sign up any new consumers for the home plan. Additional insight on the decision may be found at this Code42 blog posting. Code42 will honor all existing CrashPlan for Home subscriptions, and will wind down support of CrashPlan for Home on Oct. 22, 2018. Its consumer customers will be offered extended subscriptions and special discounts throughout the transition, as well as dedicated support, resources and choices to transition to a new backup solution. To do this, Code42 selected Carbonite as its exclusive referral partner for CrashPlan for Home customers, offering a seamless transition path for those looking for personal backup.